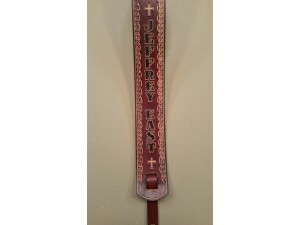 ~~Special design with Crosses for Martin Guitars, or any guitar with the button under the neck. 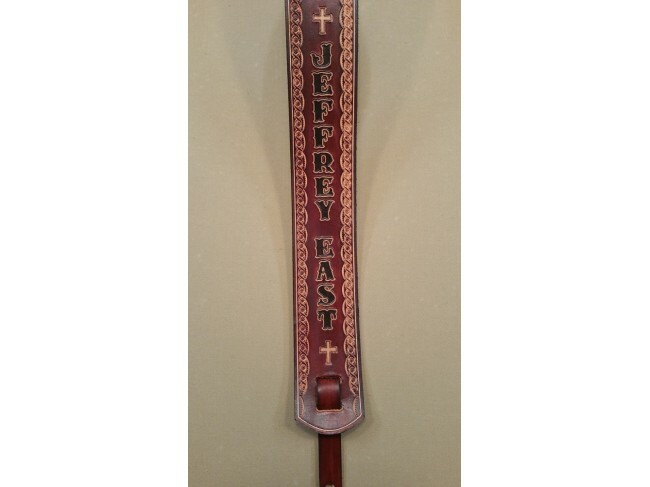 This custom 3" strap is specially designed with a 4" extension on the front of the strap to reach under the neck. 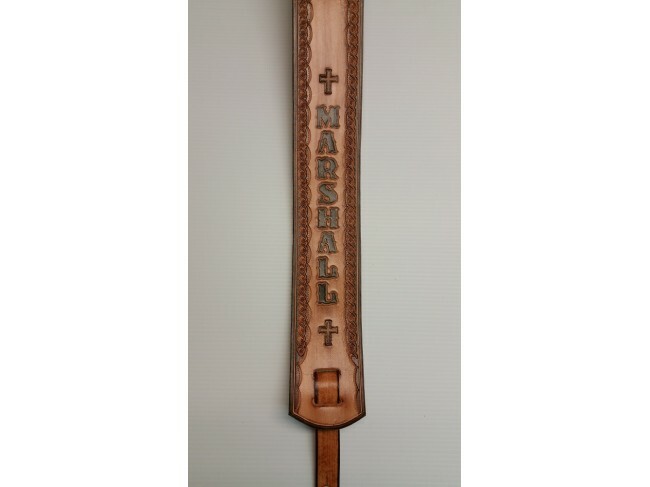 This aids in raising the name to center it on the chest and also makes it much easier to attach, since Martin, Taylor, and some other guitars place the button under the neck. Shown in Dark Brown (2nd pic is Natural Brown). If you want it without Crosses, just specify at checkout.